Oregon, Wis. (July 12, 1994) – The nickname “Matt the Brat” has stuck with Matt Kenseth for years. After Tuesday night, it’s probably safe to say it will stick around awhile longer. 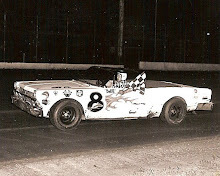 And Rich Bickle Jr. likely thought up a few more choice names for the 22-year-old Cambridge driver after a late-race incident between the two provided a dramatic and controversial conclusion to the Miller Genuine Draft Nationals at Madison International Speedway. 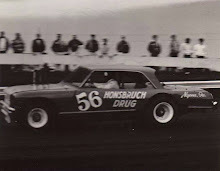 Following the 250-lap feature, Bickle was fuming about what happened on lap 236 as he attempted to pass inside Kenseth in turns three and four. Bickle, an Edgerton native who now lives in Concord, N.C., and races regularly on the NASCAR Winston Cup circuit, and Kenseth made contact, sending Bickle to the infield grass in turn four and knocking him out of contention for his second Miller Nationals title. Kenseth, meanwhile, said he wasn’t sure exactly what happened. 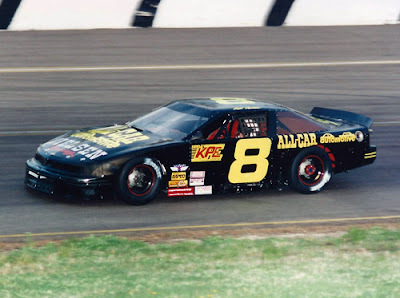 Ironically, the car Kenseth drove is owned by Nielsen, the same man who fielded Joe Shear’s winning entry for the 1993 Miller Nationals. Early in Tuesday’s race it appeared Shear (who now runs his own team) might have a strong enough car to make it two in a row. Shear led the first 29 laps before Kenseth took over on lap 30 and made it look relatively easy the rest of the way. Except for the incident with Bickle, Kenseth had only one other close call. He hit some oil in turn two of lap 165 and nearly hit the wall. Butch Miller, the current ASA point’s leader, finished 1.76 seconds back to place fifth overall (3,980 points). 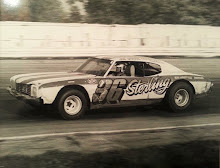 Winston Cup regular Ken Schrader was third in the race and second overall (4,935) and Scott Hansen, the first-round leader, finished third overall (4,275) and seventh Tuesday night. Miller said Kenseth has a bright future as a driver. “He’s a lot smarter than the first time I saw him race,” Miller added. 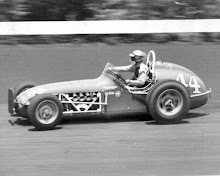 Bickle started 21st and gradually worked his way to the front. He was helped by a yellow flag with 20 laps remaining when Robbie Reiser’s car developed ignition problems. But after his spinout on lap 236, all Bickle could hope for was a top-five finish. He wound up fourth overall (4,175 points) after finishing sixth Tuesday night. 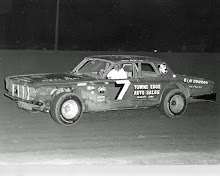 In other action, Al Schill won the 10-lap semi-feature, Hansen took the 10-lap dash between NASCAR and Midwest drivers and Lowell Bennett and Jay Sauter were 1-2 in the last-chance race to advance to the feature.